If you’ve ever dreamt of giving up the day job to finally pen that vampire romance novel, you’re in luck. 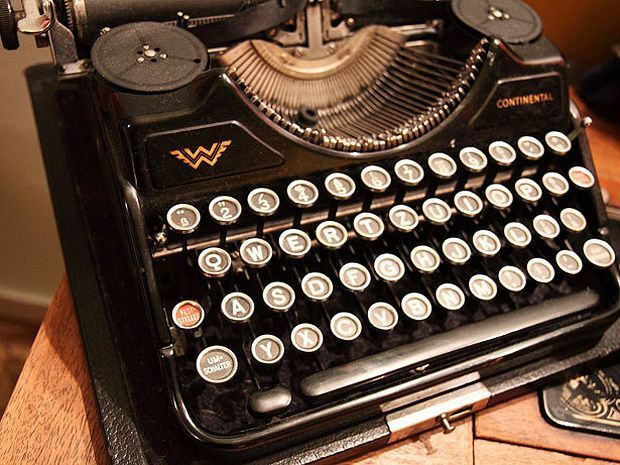 Edinburgh-based company Writers’ Essentials have launched a series of free creative writing workshops for aspiring authors, which explore the novel writing process from conception through to submission. Novel Writing: Pages 1 to 384 is made up of 12 classes, taking place on the first Tuesday of every month. The sessions are split either side of National Novel Writing Month (also known as NaNoWriMo, but more commonly known as November), and a pre-recorded version will be uploaded online after every session. The company, which was founded in 2013, was set up to provide encouragement, support and feedback to aspiring writers, and deals with fiction and nonfiction alike. Creative Director Sarah Hull said: ‘Since establishing Writers’ Essentials in 2013, I’ve worked on many manuscripts ranging from Shetland folklore to South American history, and from gritty dramas to heart-warming romances. And I’ve found the same problems occur again and again. While everybody’s writing is different, there are some principles that hold true for all. So if you’ve been sitting on the next boy wizard story, or perish the thought, the next Fifty Shades of Grey, you’d best get writing. Novel Writing: Pages 1 to 384, The White Horse, first Tuesday of month until March 2016 (not Nov & Dec), free. Class for writers exploring key aspects of novel writing. A pre-recorded version of each class goes online the following day.